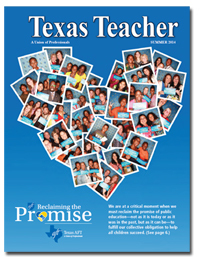 Texas Teacher is published four times per year (Spring, Summer, Fall and Winter) and covers news on public education, teachers and students, and local unions. Read the current edition here, or you can view an archive here. 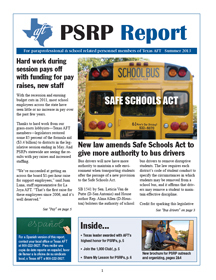 Read the latest Support Report…For paraprofessional & school related personnel members of Texas AFT.